Posted on January 12, 2015 by Patricia Tilton •	This entry was posted in Ann M. Martin, Children's Book Review, Middle Grade and tagged Animals, Autism Spectrum, Courage, Family Relationships, Friendship, Hope, Separation. Bookmark the permalink. I think you would enjoy the writer’s style. Very unique story and I enjoyed reading about Rose. Definitely my kind of story. I just put the sample on my Kindle. Thanks! I’ll be interested in what you think. Rose is quite a unique and determined character. I putting this one on my tbr list! Hope you can read it. You’d also enjoy the writing style. It is a realistic story that is emotionally honest and filled with heart. I enjoyed this book over the holidays. Such an intriguing character and story. Thanks for featuring. Glad to know you enjoyed this book. It is an unusual story, but we need kids to be able to have compassion and understanding for those who have different needs. After breathing a sign of relief and gratitude that we’d made it through the holidays, and after a few days off from the shop, I got back to the piles of books I had purchased to restock our shelves and started to sort them. 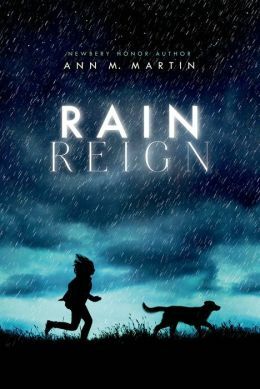 Rain Reign was in one of the stacks and for the life of me I couldn’t remember having ordered it for the store. I glanced at the jacket description and thought it looked interesting. Now, thank you, I know I’ve got to read it and share it with our customers. We have quite a few kids that visit our shop who are somewhere on the spectrum and I’m so glad to have titles where they can see a bit of themselves, or a lot of themselves, represented. I also love to have books where other kids who are not on the spectrum can gain some insight into how their classmates, friends, and neighbors might be experiencing the world. Thanks, as always, for sharing reviews about great books! You know I gravitate toward books that give kids insight into our other kids experience the world. Rose’s father had no tolerance for her behavior, but her uncle totally understood Rose. Very interesting ending that I didn’t see coming. Thanks for mentioning Autism Speaks. I have before, but received some negative comments from parents. I like the sound of this, Pat. Thanks for sharing. It really is a good book for kids with similar issues to read about others. And it is students insight into the lives of other kids. Another wonderful book that will help young people understand that we are not all the same. Your review is exceptional. Thank you! Ann Martin has written a very realistic book that will help those on the spectrum see someone similar. Rose is a very spunky and determined character. Her story will also give tweens some understanding and insight into kids they may know on the spectrum. Enjoyed this book a lot! Love to see a book on this topic! Kim, it is an excellent read. I really enjoyed the author’s writing style. I’ve had my eye on this one for some time, but haven’t gotten hold of it yet. Thanks for sharing a great review! Glad you enjoyed the book review. I hope you read it as it really is a good book. Thank you for the great review! One of my best friends is on the spectrum and I am always interested in learning more. Glad you enjoyed Rain Reign. It is such a great book for those on the spectrum to see themselves in others and it’s great for friends and family to gain better insight into autism spectrum. This does sound like a special book! Thanks for the super review, Pat. I is a special read. Rose has so much to deal with in her young life, and I’m impressed how she finds her way, even breaking some of her own rules. Page turner. The cover or the book? 🙂 Sorry couldn’t resist. You’d like this book. Interesting title and the character, Rose, sounds exciting! I’m sure it will fill a good purpose. I like to think she has unique abilities that are important for kids to understand. She’s quite a determined character. I’ll have to tell my linguists husband about this book. He is interested in all kinds of homophones and all things words. That is about an autistic girl will be secondary to him but will add interest. I’m sure both you and your linguist husband would enjoy this. I started counting how many homophones she found, and gave up. The story is sad, but you really enjoy how Rose finds ways to cope, entertain herself, and really grow in the story. Several twists. I’m particularly interested in this one since my younger son has mild autism (not Aspergers though). Oh, you must read this book. It just won an award this week. I expect it will be well received. It is heartbreaking and has many twists. But Rose finds a way to use her abilities and show her resiliency.